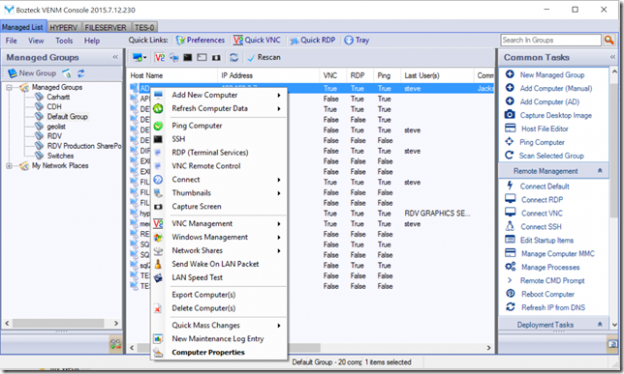 Bozteck has updated the VENM Remote Desktop Manager to meet the compatibility and functionality demands of Microsoft’s new Windows 10 desktop operating system. Bozteck VENM is an enterprise ready remote desktop management console priced low enough to be affordable for mid to small sized organizations as well as individual consultants. Read more about Bozteck VENM here. Also included in this update are all of the user reported bug fixes and enhancements rolled up into a single release.